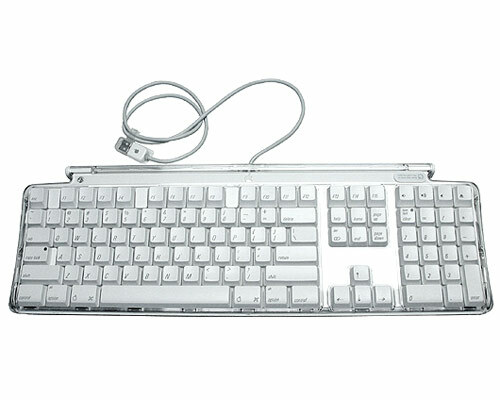 Brand new, Spanish format, white, Apple Pro extended USB keyboard. Widely considered to be the greatest keyboard Apple ever produced, this vintage model M7803 was discontinued in 2003 so this is a truly unique opportunity to purchase a brand new example of this classic keyboard. Please note, photo is for illustration purposes only, and may not be of the same language format.